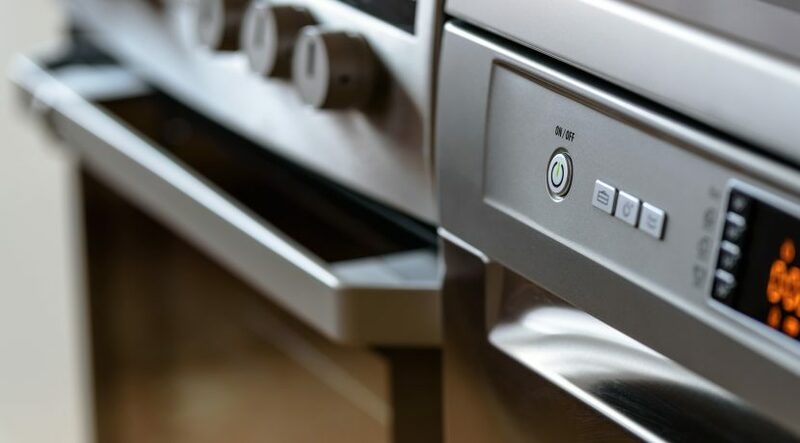 Gas and electric ranges and ovens operate fairly simply, and they’re usually easy to repair, mainly because the components are designed for quick disassembly. Most of the malfunctions that affect gas ranges involve the supply and ignition of gas in the burners and the oven. Most malfunctions that affect electric ranges and ovens involve faulty heating elements. In this article, we’ll discuss how the main parts should work on gas and electric ranges and ovens and how to service them regularly to avoid larger, more expensive problems. The first step is taking a peek inside to assess the problem.Caution: Before doing any work on a gas range or oven, make sure it’s unplugged, or turn off the electric power to the unit by removing a fuse or tripping a circuit breaker at the main entrance panel or at a separate panel. If there is a grounding wire to the range, disconnect it. Also close the gas supply valve to shut off the unit’s gas supply. Step 1: Take out the screws that hold the panels, and pull off the control knobs. On the control panel the knobs are friction-fit; pull them straight off. Some knobs may have setscrews in the base of the knobs; back out these screws using a screwdriver or Allen wrench and pull off the knobs. Step 2: Remove the back service panel on the control panel by backing out a series of screws around the edge of the panel. To remove the front panel, take off the control knobs and remove a series of mounting screws that hold the decorative panel to the frame. These screws may be hidden by molding or trim; pry off the molding or trim with a screwdriver, or take out several screws. Step 3: To gain access to the burner assemblies, remove the burner grates and then the top of the range. The entire range top should either lift up and off the range or open up and back on hinges. The oven door can usually be removed by pulling it straight up off the hinges on both sides of the door. Some hinges have a latch that must be unlocked before the door can be removed. Step 4: If the surface light of the range burns out, remove retaining screws and panels as necessary to gain access to the bulb. Replace the burned-out bulb with a new one of the same type and wattage; check the ends of the old bulb for this information. Then replace any retaining panels. Step 5: If the oven light burns out, unscrew it and remove it from the oven. Replace the burned-out bulb with a new one of the same wattage, made for oven use. If the oven won’t heat to the desired temperature or heats unevenly, the problem could be a defective door gasket. The best way to test for this is to pass your hand around the door, being careful not to touch it, while the oven is turned on. If you can feel heat escaping, the gasket needs replacement. Replace it with a new gasket made for the range. Step 1: Pull the old gasket out of the channel. On some oven door frames the gasket is held in place with screws. To get at the screws, bend back the exposed edge of the gasket. Step 2: Clean the channel and the door frame with a solution of mild household detergent and water. Step 3: To install the new gasket, start the replacement at the top of the door frame and work down the sides, easing the gasket around corners. Finish the installation along the bottom, butting the ends of the gasket firmly together. If you smell gas, leave the house immediately. Do not try to turn off the gas from inside the house, or turn any lights on or off. Find and turn off the master gas valve outside the house. Go to a telephone and call the gas company or the fire department immediately to report a leak. Do not re-enter your home. Step 1: Turn off the power supply, both gas and electric, to the range. Then remove the burner. Step 3: When the burner is completely dry, replace it, and turn on the power and the gas supply. An oven that won’t heat can occur for a variety of reasons. Check out the next section for tips on where to look to solve this type of problem. An oven that won’t heat or heats unevenly most likely involves a faulty control, thermostat, or timer. Don’t worry because most of these problems can be handled yourself at minimal cost. Step 1: Remove the control knob. Step 2: Remove the back service panel or the front panel, if necessary. Remove other control knobs as needed to remove the panel. The oven setting control is located directly in back of the control knob and is usually held to the control panel by two screws. Step 3: Testing the control with a volt-ohm-milliammeter (VOM) is not recommended, because the results will not always be conclusive. If you suspect that the setting control is faulty, the best procedure is to substitute a control that you know is working, or you could simply replace the faulty control with a new one made for the oven. Step 4: Disconnect the electrical lead wires from the control terminal and lift out the control. Connect the new control the same way the old one was connected. Step 1: Pull off the thermostat knob on the control panel. Behind the knob are two screws holding a round, notched plate. Loosen these screws, but do not remove them. Step 2: With a screwdriver, change the notch setting on the notched plate by turning the plate counterclockwise; for every eighth of a turn, the oven temperature goes up about 25 degrees Farenheit. To turn the heat down, turn the plate clockwise. Step 1: Test the thermostat with a VOM (multimeter) set to the RX1 scale. The thermostat is located directly on the back of the control knob that regulates the heat. To gain access to the thermostat, remove the back service panel to the control panel. Step 2: Disconnect one electrical lead wire from a terminal of the thermostat and clip one probe of the VOM to each thermostat terminal. If the thermostat is in working order, the meter will register zero. If the needle jumps to a higher reading, the thermostat is faulty and should be replaced. Step 3: If necessary, replace the thermostat with a new one of the same type. Step 1: Disconnect the terminal wires to the thermostat and pull off the control knob. Step 2: Remove the retaining screws. On some ranges, there is a wire running from the thermostat into the oven. This wire operates a sensing bulb that controls the thermostat. The sensing bulb is usually held by a bracket; unscrew this bracket to remove the bulb. Then carefully slip out the wire, the bulb, and the thermostat. Step 3: Install the new thermostat using a reverse procedure. Step 1: Remove the back service panel to the control panel and release the spring clips that hold it in position, or remove the retaining screws. Step 2: Push the timer forward to release it. Step 3: Remove the electrical lead wires from the timer housing. If, when disassembling the timer, you notice that the electrical wire terminals look burned, remove these leads and buff the leads and the terminal points with fine steel wool. Burned and/or dirty terminals can cause the timer to malfunction, but a good cleaning can solve this problem. Step 4: Replace the old timer or install a new one of the same size and type, if this is necessary. Connect the new timer the same way the old one was connected. The flame color on a gas range burner can give you a clue if any burner troubles exist. In the next section, learn what those clues mean and what to do about them. The flame of gas range burners should be steady and slightly rounded, with a light-blue tip. The flame should be quiet and should respond to adjustments made at the control knobs. Most burner troubles can be quickly solved by adjusting the air shutter mixer plate, which is located at the end of the burner tube near the knob controls. Turn a small screw on the plate, slide the plate open or closed, and tighten the setscrew. If the flame is yellow, it’s not receiving enough air. To allow more air in, open the plate slightly. If the flame is high or makes a roaring noise, it’s getting too much air and you should close the plate slightly. One pilot light usually serves all the top burners of a gas range. Some ranges have two pilot lights, one for each side of the range. A correctly adjusted pilot flame is steady and blue, between 1/4 and 1/2 inch high. If the flame goes out repeatedly, or if it’s yellow at the tip, it’s getting too little air. If there’s a space between the flame and the pilot feed tube, it’s getting too much air. To correct either condition, turn the pilot adjustment screw on the gas line slightly, as directed by the manufacturer of the range. Most modern gas ranges use an electronic pilot igniter to start the pilot. If the pilot flame is properly adjusted, but the flame doesn’t ignite the burners, the problem is probably in the flash tubes that run from the pilot to the burners. These tubes may be blocked by spilled food from the burners. If this is the case, turn off the power to the range and clean out the tubes using a short piece of wire. Push the wire through the opening until the tube is clear. You may have to disconnect the tube to clear it. After cleaning the tube, replace it in the same position. If the pilot has a switch, the switch may be faulty. Turn off the power to the range and test the switch with a volt-ohm-milliammeter (VOM) set to the RX1 scale. Remove the retaining screws that hold the switch in the range cabinet, and disconnect both electrical lead wires to the switch. Clip one probe of the VOM to each switch terminal. If the switch is functioning, the meter will register zero. If the meter reads higher than zero, the switch is faulty and should be replaced. Remove the switch and replace it with a new one of the same type. Connect the new switch the same way the old one was connected. Most newer gas ranges and ovens don’t have pilot lights. Instead, the gas is ignited by an electric ignition system. In this type of system, an element becomes hot and glows like the filament in a lightbulb when an electric current passes through it. The heat from the filament lights the gas. As a rule, these ignition systems are sealed and cannot be repaired or adjusted. When an electric ignition device fails, don’t try to fix it. Call a professional service person for replacement. If the flame is set too low, adjust it. Next to the pilot, locate a small boxlike unit with a couple of screws in it. This is the ignition unit. The ignition unit could also be located below the pilot; follow the gas line down until you locate it. Turn one of the screws on the ignition. Experiment, turning the screws a little at a time, until the flame is adjusted properly. It should not be as high as the top pilot flame; leave it as low as possible. On some oven pilots, turn the control to the OFF position and light the pilot; then turn the oven dial to the BROIL position. The pilot will heat the controls to the ignition switch. On some ranges, there is an automatic shutoff valve located in the pilot assembly that shuts off the gas to the burner any time the pilot and the burner are both off. If this unit malfunctions, don’t try to fix it yourself; you should call a professional service person for repair or replacement.An electrically operated shutoff valve used on some gas ranges has two facing valves, an electromagnet, and a manually activated reset button. The thermocouple fitting is next to the pilot valve, as in most burner systems. A small amount of electricity holds the facing valves apart. If the pilot light goes out, no electricity is generated, and the valve closes to turn the gas off. On this type of system, relight the pilot by depressing the reset button and holding a match to the pilot. It should take about a minute to light this pilot. If you aren’t able to relight this system, call a professional service person.Electric ovens and ranges are growing in popularity, probably because most repairs involve simply replacing a worn or faulty part. Learn more about how to provide routine maintenance for an electric range in the next section. There are two types of self-cleaning ovens, pyrolytic and catalytic. Pyrolytic ovens use very high heat — usually 1,000 degrees Farenheit — to incinerate food on the oven’s surface, leaving only a fine ash. The smoke produced by the burning is vented from the oven. When the cleaning process is complete, the fine ash left in the oven can be wiped off the surface. Catalytic self-cleaning ovens are coated with a special finish the allows most dirt to burn away at normal cooking temperatures. With these ovens, major food spills and spatters must be cleaned away immediately or the special finish will not work. Caution: Never use a commercial oven cleaner to clean either a catalytic or a pyrolytic oven. Most problems with pyrolytic ovens occur because procedures are not properly carried out. In most cases, the oven heat selector must be set to the CLEAN position, and the oven door must be firmly closed and sometimes latched. When the oven reaches a predetermined temperature — about 600 degrees Farenheit — the door automatically locks shut so that it can’t be opened during the cleaning cycle. Check for a blown fuse or tripped circuit breaker at the entrance panel controlling the unit. Make sure the heat selector is set to the CLEAN position, and the timer is set to MANUAL. Be sure to allow the prescribed amount of time for the oven to clean itself. If the oven is only partially cleaned, more cleaning time may be required. Make sure the oven door is tightly closed and latched. Electric ranges and ovens are generally easy to repair, because there’s not much to go wrong and there’s not much you can do. Most repairs are actually replacements, a matter of unplugging the old part and plugging in the new. Most of the malfunctions that affect electric ranges involve faulty heating elements. Caution: Before doing any work on an electric range or oven, make sure it’s unplugged, or turn off the power to the unit by removing one or more fuses or tripping one or more breakers at the main entrance panel or at a separate panel. If the range is fused at a separate panel, this panel may be located adjacent to the main panel or in a basement, crawl space, or other location. If there is a grounding wire to the range, disconnect it. Make sure the power to the unit is off. If the range or oven is receiving power but doesn’t work, the unit may have its own fuse or circuit breaker assembly. This assembly is usually located under the cooktop of the range. In some units, lift the top of the range to gain access to the fuse assembly; or lift the elements, remove the drip pans, and look on the sides of the cabinets. Inside the oven, look to the back to spot the fuse assembly. If the unit has this additional fuse or breaker system, components such as the oven light, the range heating elements, the timer, and a self-cleaning feature may be separately fused. If these components or features fail to work, don’t overlook the possibility that the fuses have blown. To replace a blown fuse, unscrew the old fuse and install a new one of the same type and electrical rating. If the unit has circuit breakers, push the breaker or reset button, which is usually located on the control panel. Step 1: Check the power cord, the plug, and the outlet. Then look for blown fuses or tripped circuit breakers at the main entrance panel or at a separate panel. Step 2: Check the fusing system inside the range. If the circuit is broken, restore it. If the range is receiving power, go on to check the element. Step 3: When the element is cool, remove it. In most ranges, each top heating element is connected to a terminal block in the side of the element well. To remove the terminal block, lift the element and remove the metal drip pan that rests below it. The element is held by two retaining screws or is push-fit into the terminal block. To remove a screw-type element, remove the screws holding the wires. To remove a push-type element, pull the element straight out of its connection. Step 4: Test the element with a volt-ohm-milliammeter (VOM) set to the RX1 scale. Disconnect one of the electrical leads to the element and clip one probe of the VOM to each element terminal. If the element is functioning properly, the meter will read between 40 and 125 ohms; if the meter reads extremely high, the element is faulty and should be replaced. To test a range element without using a VOM, remove a working element from its terminal block and connect it to the malfunctioning element terminal. Don’t let the test element overlap the edges of the element well; keep the element inside the well, even if it doesn’t fit perfectly. Turn on the power to the range. If the working element heats, the suspected element is bad and should be replaced. If the working element doesn’t heat, the terminal block wiring or the switch that controls the element may be faulty. Call a professional service person. Step 5: Replace a burned-out range element with a new one made specifically for the range. Take the old element to the appliance-parts store; if possible, take the make and model information, too. This data will probably be on a metal tag attached to the back service panel of the range. To install the new element, connect it the same way the old one was connected. Step 1: If the oven element doesn’t work, first check to see if the range is receiving power. Don’t overlook the fusing system inside the range. Step 3: If the element still doesn’t heat, turn off the power to the range and test it with a VOM set to the RX1 scale. Step 4: Remove the screws or plugs that connect the element to the power. Remove the retaining shield, which is usually held by two screws, and remove the element from the brackets that hold it in the oven. The element is usually held in these brackets by screws. Step 5: Clip the probes of the VOM to each element terminal. If the element is in working order, the meter will read from 15 to 30 ohms. If the meter reads higher than 30 ohms, the element is faulty and should be replaced. If the element tests all right but doesn’t work, the problem may be at the terminals. Make sure the terminals are clean and tight at the element connections. Oven and broiler elements cannot be tested without a VOM. If you don’t have a VOM, take the element to a professional service person for testing. The problem is usually a malfunctioning element; however, you aren’t risking much by replacing the element without a professional test. Step 6: Take the burned out element with you to the appliance-parts store to make sure you get the right replacement part; if possible, take the make and model information, too. To install the new element, place it in the same position as the old one. Connect it the same way the old one was connected, using the same screws to hold it in place. 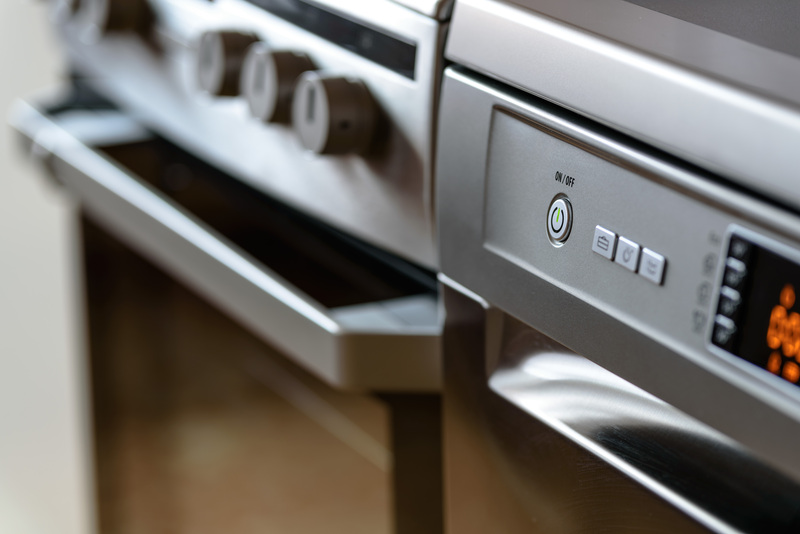 Just about all the other components of an electric range or oven (including its door gasket, oven controls, and timer) are virtually the same as the components used on gas ranges. Most problems with gas and electric ovens or ranges are easier to fix than you think. The key is knowing how the various parts work and when to replace them.